This bench is so uncomfortable I’ve been seeing what will grow on it. Here it is from last year, I may water the moss. 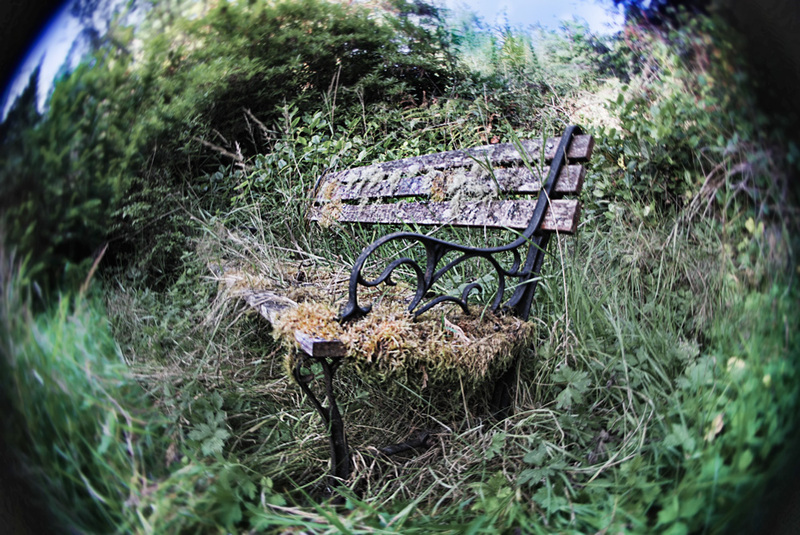 Love the fisheye of the mossy abandoned bench. This shot seems perfect for the fisheye. It kind of makes it look like a still from a scary movie. I think you should find some old one-eyed dolls to set on the bench for a complete look.